January 2013 – He Said What?! I was reminded this past weekend, as Aaron talked about food, of the very interesting ways that he describes certain foods. As always, Aaron notices the uniqueness of various foods and he registers this information in his brain. He then uses what he has registered in order to describe each food. So often, he won’t say the name of the food that he’s trying to describe, but he’ll use the features of that food to identify it. Sometimes he tries to tell us the color of the food, but since he’s color blind this often just adds to the comedy of his word pictures. One day when he came home from his group, I asked him what they had fixed to eat that day. It was the day that the staff cooked lunch for everyone. He said, “We had chili with those black beans and those square crackers that have holes in them!” I told him that the beans were probably kidney beans…….which he thought was quite funny……….and that the crackers were saltines. Yet I know that the next time he tells me about kidney beans, they will be black beans……….and that saltines will the square crackers with holes in them. He watched me make the green bean casserole for Thanksgiving dinner. Shortly after that, he was trying to describe an omelet to me and the process of making it. He said, “It was like those green beans we had……..all together.” I understood exactly what he meant! One day he was telling me what he had gotten to drink at the bowling alley. “Mom, I got lemonade.” That was unusual for him, so I asked him if he liked it. He answered, “Lemonade has a strong and nasty taste………..I like it!” OK. Whatever you say, Aaron. Fortunately, I knew that he was referring to some Taco Soup that I had made……..which actually does have a tiny tinge of grey in it from the beans and their liquid. But somehow, grey soup just sounds a little unappetizing to me. I do wonder what people think when he tells them that his mom made some grey soup. And again, it doesn’t matter that I said, “Oh, you mean the TACO SOUP.” Aaron will still say “that grey soup” no matter what. But he wasn’t through talking about fascinating deli food. “Mom, they had those eggs with that squishy egg stuff on top!” As tasty as that sounds, Aaron, there is a name for those eggs, too………..DEVILED EGGS. He quickly says, “Yeah!” as he rushes on to the next food topic, and I know that he will not know the squishy eggs as Deviled Eggs the next time he sees them. Yesterday he told me that there were some of the packaged nuts from his Christmas stocking that he did not like. “You know, Mom,” he began. Why does he always think that I know what he is going to be talking about, based on his crazy descriptions?! Anyway, he continued, “I don’t like some of those nuts that were in my stocking.” He paused as he waited for me to get with the conversation and ask him the question that he wanted to hear……….which I did………because if I don’t, it will just prolong the inevitable. Which nuts don’t you like, Aaron? Oh yes, Aaron. 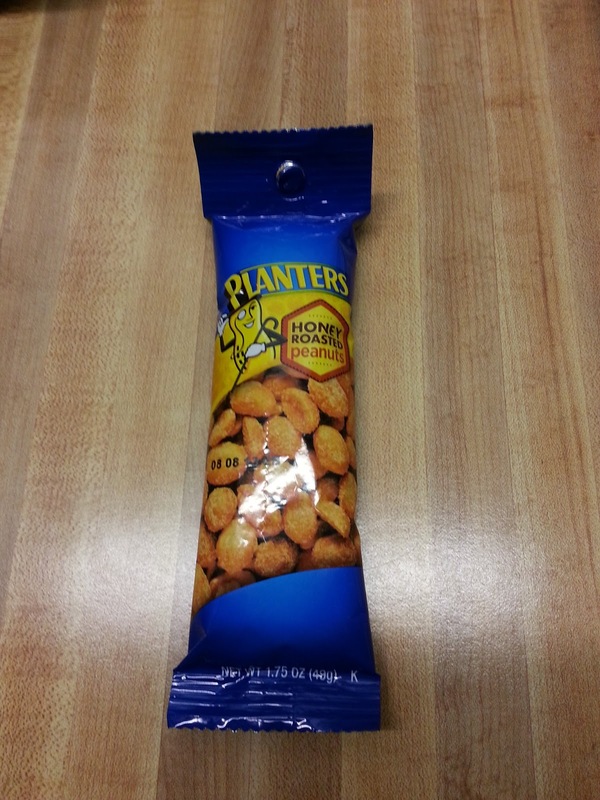 The HONEY ROASTED PEANUTS. I never exactly got a clear idea of why he doesn’t like them……….whether it’s the honey or the fact that they are totally baked. Regardless, Gary is now the new owner of several packs of those honey baked nuts. He agrees and then says, “They look like tornadoes, don’t they, Mom?” And I know that they are forever tornado chips in Aaron’s world. 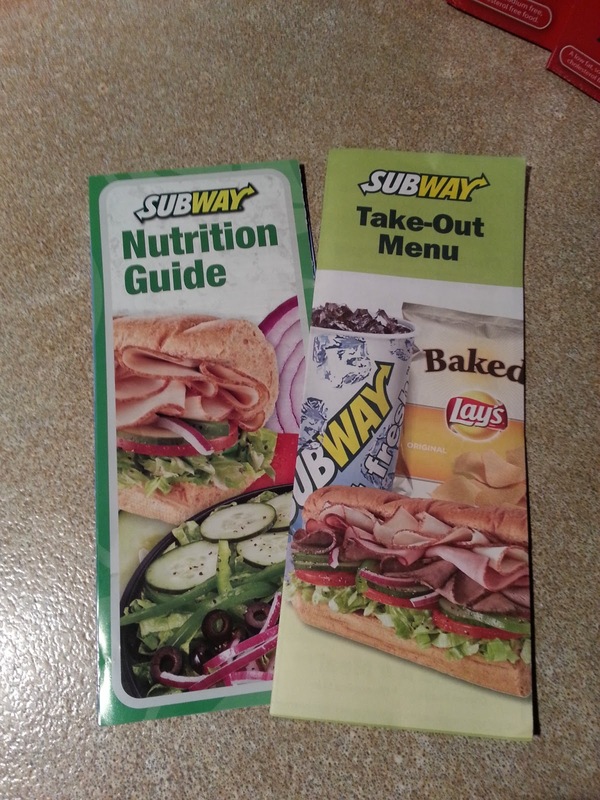 Today he was excited to show me what he had picked up at Subway……….a take-out menu and a nutrition guide. He was fascinated with all the numbers on the nutrition guide, but I was happy for him to finally be able to discuss the various sandwiches by name………..not by how many black dots the bread had or if it had white mustard or that yellow cheese. Yes, Aaron………..the sub you get is a COLD CUT SUB. On ITALIAN BREAD! See? There it is, in black and white. Read it for yourself! Today marks two weeks since my shoulder surgery. Somehow it seems like the whole event happened much longer ago. Then I stop and realize that it will be almost another two weeks until I can begin physical therapy, and that seems like a long way off. Funny how our perceptions of time get all out of whack when our normal routine and world get shaken up. 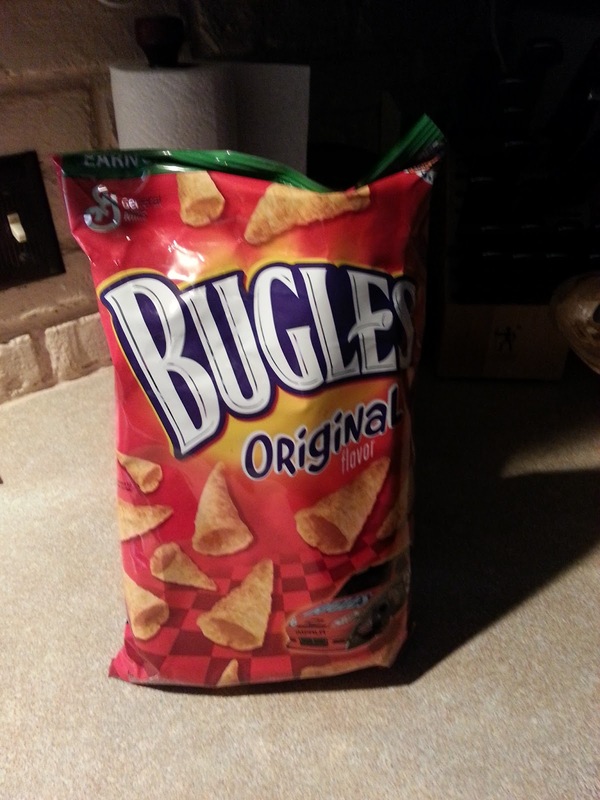 My surgery was more extensive than anyone thought it would be. I had three tendons that needed to be re-attached; a biceps repair; and a very large bone spur taken out – or whatever it is that surgeons do with bone spurs. I don’t need details. The surgeon wants me to heal more before I start physical therapy, so that means longer in the sling/immobilizer with no use of my arm. I’ve done very well, thanks to my amazing husband who does anything and everything to serve me and make life easier for me. I’m learning how to do a lot with my left hand, which is not my dominant hand, and realizing that I have so much for which to be thankful. No crutches, for one thing. I would be a hazard on crutches, primarily to myself. My situation is not permanent, and for many people that is not the case as they find themselves minus a limb. I am not undergoing months of chemo with an uncertain future ahead. I have family and friends who love me, and have been so supportive both from near and far. 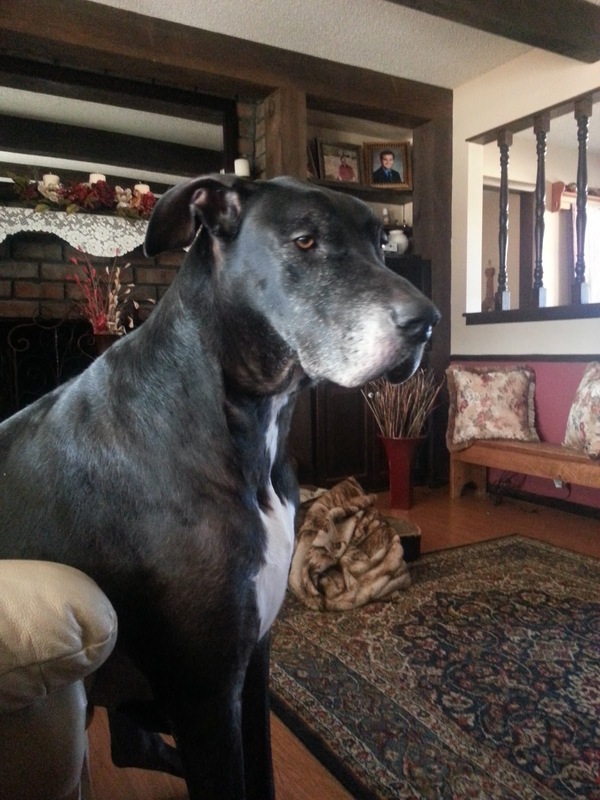 We have our huge Great Dane, Jackson, who sits by me and looks at me with sweet pity. And I have Aaron, who causes me to be jerked back to reality daily. Yes, dear Aaron……..whose world is all about…….Aaron. Yet he has shown some surprising sides of himself over the past two weeks. Before my surgery, I took him to Wal-Mart for a casual shopping trip. He had some Christmas gift cards, but there really wasn’t much on this trip that he wanted. Of course, he got some Skittles because Skittles are always important to have. And he was very animated when we entered the produce department and he saw eggplants. Yes, eggplants…….because they are unusual to him and they are a pretty color and he still remembers the summer that Gary planted an eggplant in our garden and it grew! 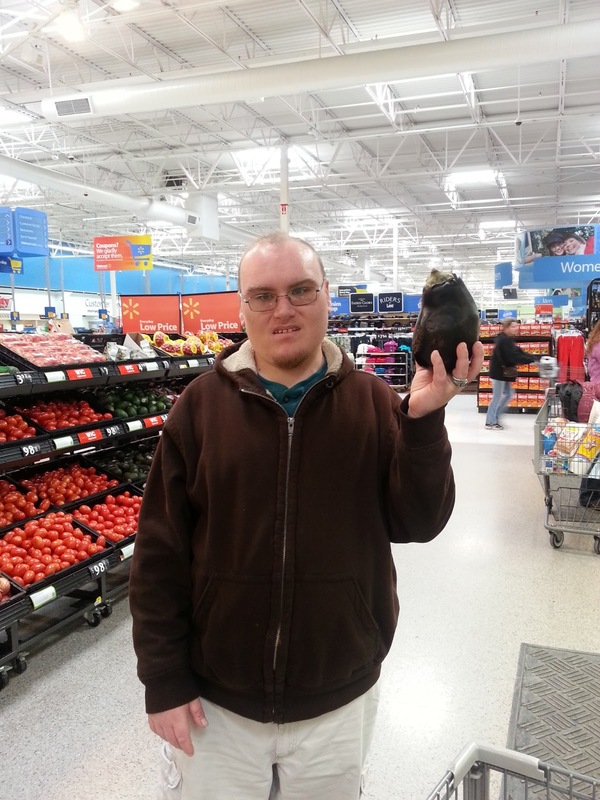 We didn’t buy an eggplant that day in Wal-Mart, but he was happy to hold it up for me to see…….and everyone else that was near us. The day of my surgery, he bounded in the door as usual and I heard him come tromping up the stairs. He came into the room where I was propped up in bed and launched right in to a rundown of his day. To others, he would have perhaps seemed very uncaring because he didn’t ask about me right away………but I knew better. I saw his eyes darting around the bed, taking in the sight of Mom not looking so great and the IceMan machine whirring beside the bed and the mound on my right side that was my surgery site. He was taking it in and checking things out, and it was very vital to him to know that Mom was awake and could talk……..and most importantly, still had ears with which to listen to Aaron’s stories and questions and reviews of his latest movie that he has seen. He popped in and out over the next few days, talking about his day at Paradigm or what he had eaten or what my opinion was concerning the possibility of aliens on other planets or whether I had any new information about global warming. There is sameness with Aaron, that’s for certain. He walked in one day to see my empty right shirt sleeve laying on top of the covers. 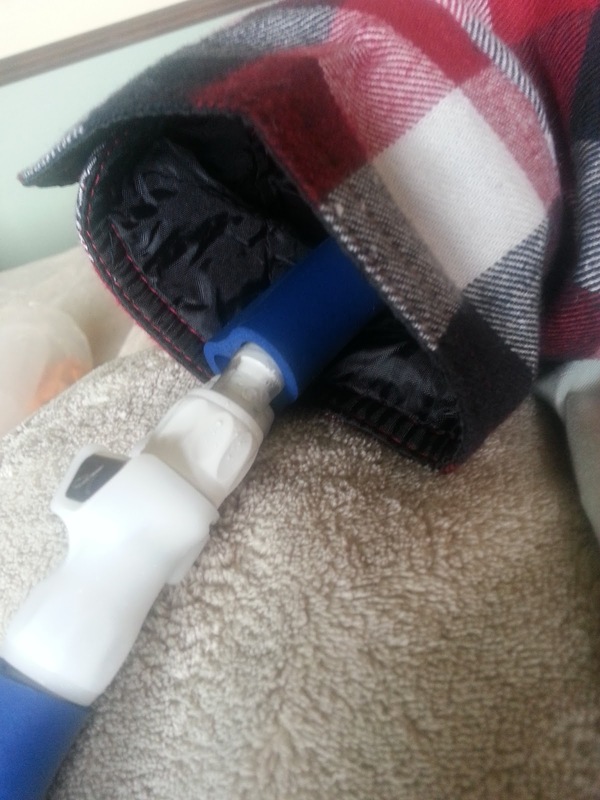 Coming out of the sleeve, where my hand should have been, was the hose for the ice machine. This sight shocked even Aaron, whose eyes got huge as he blurted out, “Mom!!! You don’t have a hand??! !” We looked down and realized how shocking this looked, and then I showed him where my real hand was – all tucked into my immobilizer under the covers – and Aaron and Gary and I laughed and laughed. Aaron was also very relieved to see that Mom was not missing a very necessary part! At other times he showed surprising tenderness. He likes it when he and I use back scratchers at night to tickle each other’s backs. One day he asked if we could “do our backs.” I told him that I didn’t think I was up to that yet and he answered, “No, I don’t mean that you have to do my back. I’ll just tickle your back.” Well, my goodness! I was surprised and pleased at that display of kindness, and I told him so…….which made him uncomfortable with pleasure. He was also careful with goodnight hugs, being very slow and gentle with me instead of rough and brusque. He had one morning of non-compliance – the first morning that Gary went back to work and I was on my own again with Aaron. I seriously wanted to walk away that morning as he challenged everything I said, and as his rudeness increased I became more and more exhausted. He did go on to Paradigm when his ride came, angry with me even as he brushed out the door and uttered one more insult. But when he came home, he was happy and acted as if the morning had never happened. Since then he has been fine…….maybe he just needed to test the waters or his concern finally spilled out in his behaviors, as often happens. I never know what to expect when he comes home, but it almost always involves lots of talking and sometimes surprises……..such as this day last week when he was delighted to show me what his friend had painted on his face. He told me about passing a school bus and how the children inside were staring at him on this day. Yep, Aaron, I bet they were. He is happy that I can now awkwardly shuffle cards, so Skip-Bo is sometimes a part of our evening here and there. Yesterday we walked around our circle when he got home, minus our big dog, and it felt so good to be outside and to walk and of course, to listen to Aaron talk. This past Sunday, though, I did not want to listen to him talk. I had just settled in a chair with cushions and my blanket for a Sunday nap………and I heard his door open and then the unmistakable sound of his thumping down the stairs. Uh-huh…..I barely muttered. His monotone voice began to drone again, making me even sleepier. I agreed that it was right, not even knowing or caring about what I had just agreed to……….and he began to talk again about volcanoes or earthquakes. For crying out loud, Aaron, please! Can you not see that I’m trying to take a nap? Then he was gone, thumping back upstairs not to return again……….and leaving me to smile and to wonder what that was all about. You never know with Aaron. He just called me as I’m writing this – called from Barb’s cell phone at Paradigm. I asked, “Aaron, what are you doing?” He answered, “I don’t know!” Oh, Aaron. See, I’m not the only one that wonders what on earth Aaron is doing. Half the time, he doesn’t even know! Yes, things have returned to normal around here for sure. I wrote a blog this morning about a surgery that Aaron had years ago and the funny nurse……but I lost it. That is one of the most frustrating things ever! And once I write something, and lose it, then I just can’t recapture it. I won’t even try tonight since it’s late and I’m getting tired…….and I’ll be up early in the morning to trek over to the surgery center for my own surgery. Rotator cuff. I keep thinking about family and friends who have had such serious surgeries in their lives, and I know that I am very blessed to only be facing two torn tendons and a bone spur. Remind me I said that when I’m in PT on Friday morning! I imagine that Aaron will be very unsure about how to handle all this, especially when he sees me tomorrow evening in whatever shape I will be. He’ll still be saying, “Mom! Mom? Mom!” while he stands by my bed, hoping that I will be normal and can answer him and promise to play Skip-Bo or do our backs. He will probably show very little concern about how I’m feeling, but he will be very concerned about how my situation will impact his world. He won’t want his world to be askew in any way, and having Mom unable to function as I normally do will impact him a lot for awhile. I imagine, though, that once Aaron realizes that I am not able to move around as quickly as usual, then he will use the opportunity to sit and talk to me…..and talk…….and talk yet some more. Maybe my meds will dull it somewhat. And I don’t really mean that……only a little bit. He sure can go on and on and on about whatever is on his mind. Aaron continued to talk about that monstrous mouse that developed after that scientist shot until we pulled up to meet his group. I had to nearly push him out of the van! That scientist shot that resulted in the monstrous mouse had certainly made an impression! I do not want to hear this story again while I am confined after surgery, drugged or not. I think that if I have to listen to Aaron regal me with tales of scientist shots and monstrous mice and other stories from the wild world of Aaron’s genetically altered movies……….then my eyes will fall! And since I’m already about to pay the price for one fall, I do not want to add my falling eyes to the list of my needed repairs! I wonder if the surgeon will write me a prescription for ear plugs? Emotions are the nebulous workings of our inner being that manifest themselves outwardly in many ways, as we all know and experience daily. For the typical person with Asperger’s, emotions are very difficult to feel or to manifest. Anger and outbursts, along with being very blunt, do occur. But the very normal emotions that we have, such as empathy or love, often stay buried deep inside the person with autism. I am convinced that they feel these emotions, or some variation of them, but their inability to process and to display these feelings like we do often make these special persons appear to be unloving, for instance, or uncaring. Recently, while Andrea was still here for Christmas, Aaron was asking his usual question as we drove to meet his day group. “Mom, can you and I do something tonight? Maybe play Skip-Bo or do our backs?” I told him that I wasn’t sure because Andrea and I had rented some movies that we needed to watch before she returned to Texas. Then I told him that he was welcome to watch a movie with us that evening. I laughed and then tried to discuss the merits of love, but he would have none of it. No love story movies for Aaron! He’ll take aliens or genetically altered, ravenous mutations any day over love and kissing!! Saturday afternoon, Andrea was all packed and ready to head back to Texas. She went upstairs to say goodbye to Aaron, who continued to play his computer game while she stood there telling him that she was leaving. She asked him if she could give him a hug and he just gave his deep, throaty chuckle……….but no hug from him as she gave him a squeeze anyway. She understands this about Aaron……..about how uncomfortable he is with these displays of emotion. She laughed as she told us about it. “Mom, will Andrea come over again?” I assured him that, yes, Andrea would come over again but we don’t know when. School starts again tomorrow and she’ll be very busy, I told him. Well, of course she likes you, Aaron! She likes you a lot! There was that small glimpse into Aaron’s heart that he sometimes allows us to see. Aaron may not use that word often…….that “I love you” word. But he does understand its significance and he does love to be told that he is loved. He rarely returns that “I love you” word, but he does keep it in his heart each time that it is spoken to him. And after all, isn’t that what is most important………..that he is told and he knows that he is loved? As a mother of a child of whatever age with whatever special need, we don’t always receive many outward expressions of love or appreciation. But it’s not about us, is it? It’s about these precious people that God has entrusted to us, to love and to nurture and to train and to protect. We show them love……….the love of a parent and the love of God……….knowing that we may seldom if ever receive that same love in return. But they know…….they know if they are loved, and this love warms their hearts just as love warms our hearts. Sometimes Aaron is hard to like, but I will never stop loving him. And I pray that I will never stop telling him that “I love you” word that he seems to most often ignore. He says, “Love is too dumb in love story movies!” But I don’t believe for a minute that he feels that way about his own heart. Author hesaidwhatksPosted on January 7, 2013 Categories Adult Autism, Asperger's Syndrome, FamilyLeave a comment on Love is Too Dumb! 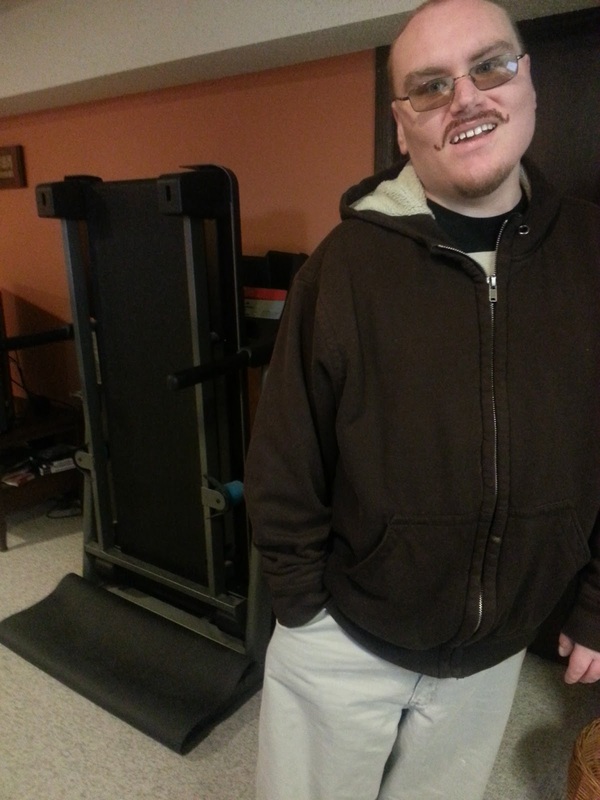 Aaron stays true to his autism roots by having routines for almost everything. Honestly, it sometimes nearly drives me nuts! At other times I realize that at least I can predict what he is going to do in a given situation……..such as the way he idles over to the silverware drawer before a meal, and as quietly as Aaron can be quiet, he opens the drawer………. and as gently as Aaron can be gentle, he removes a knife and a fork and a spoon, and then tries to hide them as he softly as Aaron can be soft, walks over to the table and tries to sneak them beside his plate…….where they join his other silverware already there, but that never is enough. And Gary and I have our own little routine after this routine occurrence……….the routine of looking at each other as we routinely roll our eyes. Then we sigh and move on to dinner, where Aaron uses his extra silverware…….maybe…..but if not, he is satisfied that it is there as he uses a different utensil for each food item on his plate. I won’t even go into the napkin and the toothpick routine. Then there is his toothbrush routine before bed each night. He puts the toothpaste on his brush, holds it under the water, and proceeds to brush as he is also opening his drawer by the sink. In this drawer lays his towel, the towel with which he repeatedly wipes the sides of his mouth as he brushes………..because he can NOT get any toothpaste on the skin outside of his mouth. He furiously scrubs his teeth, even though the dentist has told him to quit scrubbing so hard. And he furiously rubs the escaping toothpaste from his skin with his trusty towel. He also spits several times during the brushing in order to get rid of all the extra bubbling toothpaste in his mouth……….and this results in even more rubbing of his skin with the towel. When he is done, he turns the faucet on full force as he fills a cup and swishes the water in his mouth and enjoys one more spitting session and one more furious towel-cleaning swipe. And if one speck of toothpaste is on his hands, he will end the evening with his hand-washing ritual. It’s exhausting! Last night as he was getting ready for bed and it was time to brush his teeth, he realized that Andrea was in their bathroom with the door closed. He waited…..and still the door was closed. This was not fitting into his bedtime routine at all. He waited a little longer, and then informed me that he could not brush his teeth because Andrea was in the bathroom. I told him to just wait a couple more minutes……….and I may as well have told him to walk to the moon and back, and then maybe he could brush. He was not happy, to put it mildly. I was in our bathroom, and our bedroom door was locked when Aaron tried to open the door……and then knocked. He rarely knocks first and then opens……..and this is why our door was locked. Anyway, as I had just told him that he could wait a few more minutes before he brushed, he knocked on our door and then said, “How about we not??! !” He couldn’t see me, so I openly chuckled and then told him that yes, he COULD indeed brush his teeth……..even as Gary reminded me that we have extra toothbrushes under our sink. Opening our door, I told Aaron to just come in our bathroom and use a new brush. He reluctantly and unhappily agreed as he followed me into our bathroom. He took the new brush on which I had already squeezed some toothpaste. I even held it under the water for him. He then reminded me that he needed a towel……….and I reminded him that he could just use Kleenex that were sitting nearby. He began to furiously brush, partly from routine and partly from anger. He reached over to the Kleenex box, yanking out one Kleenex and then another and another and another until I told him to stop. He rubbed off the offending toothpaste, and threw the barely used pile of Kleenex away. More furious brushing ensued, and then he grabbed a fresh wad of Kleenex. I just HAD to tell him that he was wasting Kleenex. That comment came just before I couldn’t help but smile……….which he saw…….and which only added to his frustration. His entire tooth brushing routine was in crumbles and his mother is smiling! Of course, I did not say that……..not out loud. I only said it to myself and then was able to laugh as he walked up the hall, and I re-locked our bedroom door. There in our sink was the evidence of his out-of-routine tooth brushing escapade………..the pile of soft bubbles would take awhile to wash away. And the pile of Kleenex in the trash can was further evidence of what had just occurred……..which was Aaron having to adapt to an uncomfortable situation which was anything but routine. I know it’s good for Aaron to be stretched in these ways that seem simple to me, but are anything BUT simple to him. It’s good, too, for me to see how these breaks in routine affect him and how they cause him distress. It helps me to understand him even more and it further confirms to me what is important to him. Oh, and I now know that he thinks I’m weird………but that’s also pretty routine. Author hesaidwhatksPosted on January 3, 2013 Categories Adult Autism, Asperger's SyndromeLeave a comment on How About We NOT?! For the past two days we had a small and gentle snow that fell to the ground and blanketed our brown earth with a fresh coat of white. Besides needing the moisture, it was a relief to look outside and see the drab brown grass and trees transformed into the beauty of a soft winter wonderland……….new and sparkling white. Andrea is still here with us as she enjoys the last day or two of her Christmas break. Along with her, we have her adorable dog – Darcy. Darcy is so small compared to our huge Great Dane, Jackson. The difference in their sizes was very evident yesterday as I looked down at their footprints in the snow. I had no trouble being able to distinguish which print was Jackson’s and which was Darcy’s. 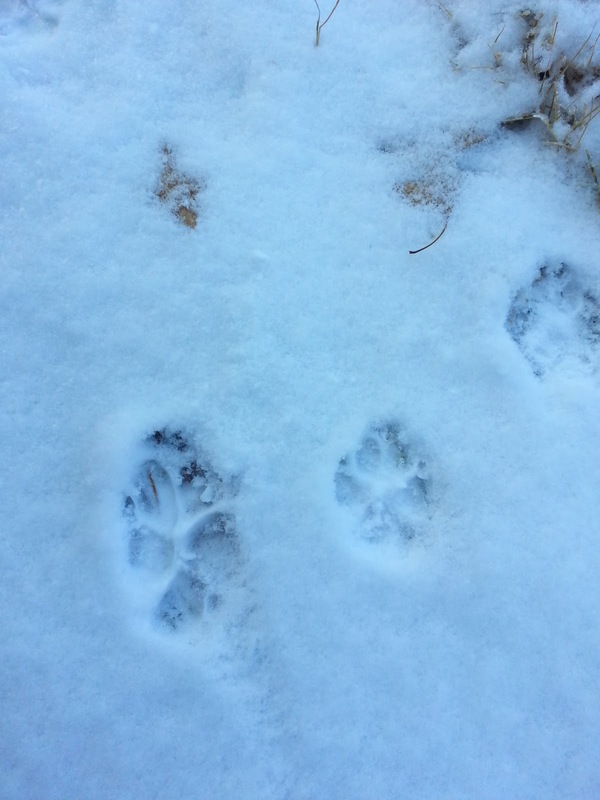 The impressions that each dog made in the snow was undeniable………big for Jackson and small for Darcy. I’ve been thinking about footprints and pondering the significance of those footprints that we cannot see……….the footprints that we leave in the lives of people that cross our paths. I have specifically been thinking of Aaron – of some of the people that have left a footprint in his life and therefore has impacted mine. The footprints don’t have to be huge or to be many in order to leave an impact. Years ago we had a dinner after the morning service at our church. By this time, Aaron was in his teens and his differences were very pronounced. Most of his peers did not know what to do with Aaron ………..how to talk to him or relate to him. They weren’t unkind but most simply handled the situation of Aaron by ignoring him, or by speaking briefly and then walking uncomfortably away from this person who was so unusual. As I went through the serving line and filled my plate, I looked around for Aaron in order to direct him to the table where we would be sitting. But there was no Aaron to be found as my eyes scanned the room. Then I saw him sitting at a table full of teenage boys. I wondered if Aaron had just seated himself there and my heart fell as I feared that he might be ignored. It was then that Gary told me that one of the young men at that table, Tyler Ellis, had asked Aaron if he wanted to sit with them. I was shocked………and I was also so very happy. What to Tyler probably seemed like a very small thing to do was instead a huge blessing to Gary and me. That incident left a footprint in my heart that remains today…………a footprint of kindness that still warms me and makes me smile. I have another footprint involving a young man that had his own struggles yet had a heart of gold. Paul Gilbow came over to our house to swim with Aaron. What was routine for our other children was rare for Aaron……….to have someone purposely come over to swim with him and spend time with him. I remember the joy that filled my heart as I looked out the window and watched Paul and Aaron swim. Paul was unaffected by Aaron’s unusual behaviors or speech or appearance. He gave Aaron a day of normalcy and fun, and he gave me a footprint in my life that will stay forever. Paul has left this earth but his sweet footprint remains with me. We each leave footprints in the lives of others. Some of those prints are with intent as we purposely reach out to touch others and to help them along the way………….or sadly as we may reach out to inflict verbal pain or to ignore those that we dislike. Other prints we may never see or realize as we affect people in ways of which we are unaware. I often wonder that if the footprints of our attitudes and our deeds were visible, like Jackson’s and Darcy’s, then what would mine look like? When I leave a footprint in some one’s life, what kind will it be? Will someone look at the footprints in their life and recognize mine? And if they do, will it be because of a smile or an act of love and caring? Or will they see anger or frustration or neglect? I want this New Year to be a year of making the right kinds of footprints in the lives of others…….and to remember that even the very smallest of prints can leave a lifelong, profound effect on those whose lives I somehow touch.